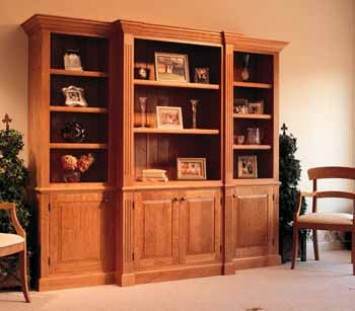 Shelves add storage and style to any room and designs, shapes and sizes are almost limitless. Simple floating shelves or advanced multi-shelf units with doors are used in every room, from kitchen to bathroom or bedroom. 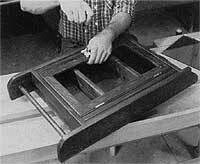 Use teak or redwood to create shelving for patios or decks. 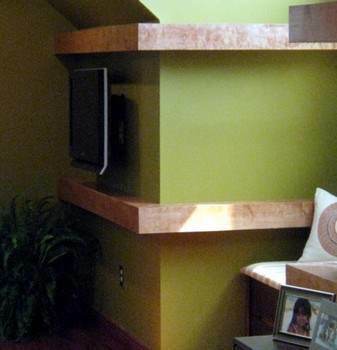 Shelves can be a simple beginner's project or use advanced carpentry skills. Stock hardware is used to mount contemporary, utilitarian shelves, while decorative woodworking pieces are used for some advanced free shelf plans. Use MDF and paint for sturdy shelves for the kids or beautiful hardwoods to make a shelving unit for cherished collections. 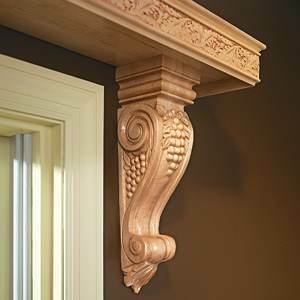 Add trim and molding to give style and elegance to a simple shelf. Free shelf plans are available with loads of tips and instruction, making them perfect as a family project or a way to brush up on skills and acquire new proficiency. 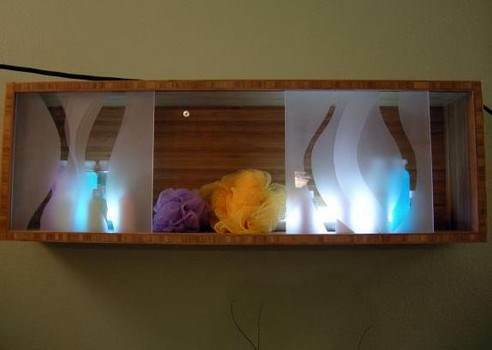 Create beautiful and exotic looking wall shelves using acrylic panels and bamboo. Create a unique display over your door for all to see. Don't spend hundreds of dollars purchasing a shelf at the store when you can create your own custom shelf with a unique design. 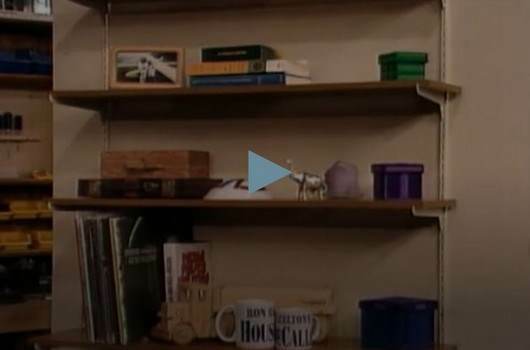 Here are demonstrations on how to build four different types of shelving systems. Learn the simple but important rules to building sturdy shelves. 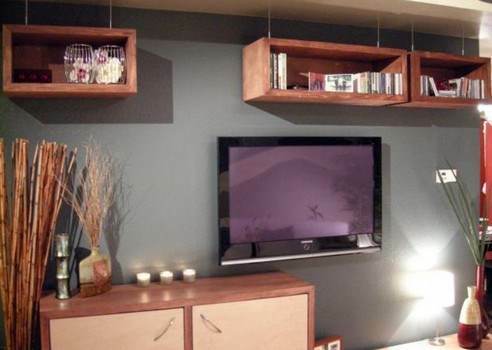 These attractive floating shelves appear to hang from the ceiling when actually they are mounted to the wall. 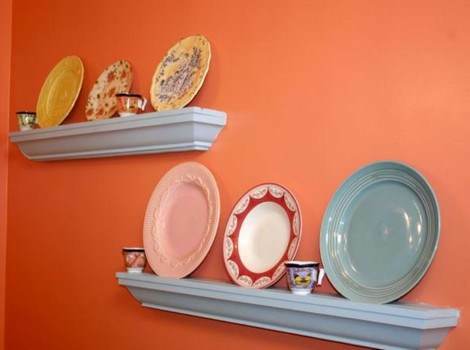 Build elegant shelves with a grove for displaying your beautiful plates and other cherished items. Here are plans for unique shelves that wrap around a corner and give a room a more sleek and modern feel. 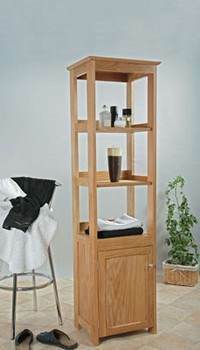 Build this freestanding cupboard that has three open shelves and one storage cabinet at the base.Looks great in any room of the house. 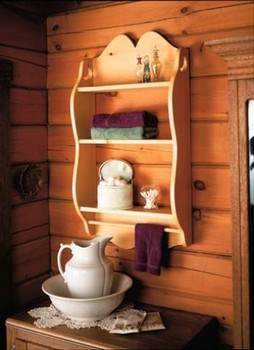 This plan has nine steps to help you build a good looking turn of the century medicine cabinet.